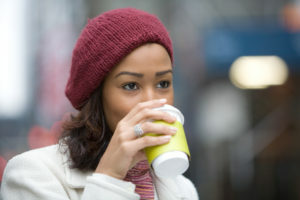 Does Offering Coffee and Tea Increase Employee Engagement? You have been thinking about calling Galaxie Coffee to begin office coffee service at your workplace. 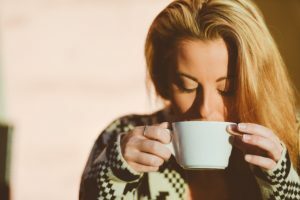 You have been reluctant because you are not sure that just adding quality coffees and teas to your break room is going to make much of a difference. Well, you should still make that call. We will explain why in this blog post. First, it is true that quality coffees and teas alone will not increase employee engagement or boost productivity. If they did, American workers would be constantly atop the productivity food chain given how much coffee we drink. 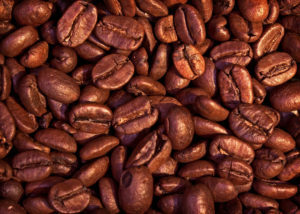 We have been consuming large volumes of coffee for generations. If it’s not the coffee and tea that does it, what is it? It is the environment in which it is offered. Quality does make a difference when it comes to office coffee and tea. Employees are not interested in poor quality products they don’t like. But employers who want to increase engagement and productivity have to combine high-quality coffees and teas with the right environment. The key to increasing engagement and productivity is collaboration. This can be easily observed by stepping back and looking at the cubicle mentality of the 1980s and 90s. Companies began shifting to the cubicle model some 30 years ago in order to more efficiently handle office space needs and prevent workers from congregating around the water cooler. It was a model that may have worked for our parents, but it does not work in the modern office where collaboration requires people to actually spend time together outside of their cubicles. It turns out that workers do better when they can collaborate in more relaxed spaces. They feel confined in cubicles and conference rooms. Conversely, they feel more free to pursue ideas and innovations in a lounge or café environment. 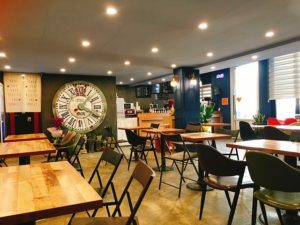 That’s why so many companies are now transforming their tired break rooms into modern lounges rivaling anything the modern coffeehouse could offer. 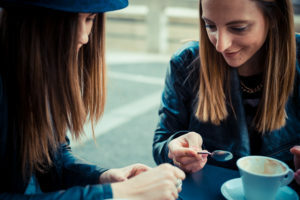 The discussion about quality coffee and tea as a way to increase employee engagement comes full circle once a company makes the effort to remodel the break room or open a lounge. If you want to make the lounge more enticing as a collaborative space, you have to offer beverages employees want. You need to offer them a reason to come to the company lounge other than grabbing a bagged lunch out of the refrigerator. That’s where quality coffee and tea become vitally important. Quality coffee and tea products invite employees to sit down and relax for a while. Get three or four together with their favorite coffee or tea and they are likely to sit around and collaborate, innovate, and produce – all without being in their cubicles. If you are looking to remodel your breakroom or establish a new lounge, we invite you to allow us to stock it. Galaxie Coffee serves the entire greater New York area with coffee, tea, and a full range of additional beverages. Here at Galaxie Coffee, we are always looking at new products and services that we believe will benefit our customers. To that end, we are extremely proud to announce we are now offering the brand-new Lavit beverage system. This is no average water cooler. It is an entirely new technology that combines a traditional high-end water cooler concept with the convenience of single cup beverage service. Lavit works on a very simple principle. It is a water cooler capable of offering three choices: still water, sparkling water, or specialty beverages (both still and sparkling) – on a cup-by-cup basis. Regardless of your choice, you will enjoy a cold drink that is both refreshing and delicious. The Lavit sparkling system is very simple to use. Just place a cup under the dispenser and choose either still or sparkling water. Press the button and watch your glass fill with cold, refreshing water. If you prefer one of their specialty beverages, insert a beverage capsule and then follow the instructions on the machine’s display. Creating your own sparkling beverages is very similar to making a cup of coffee with one of our single-cup machines. 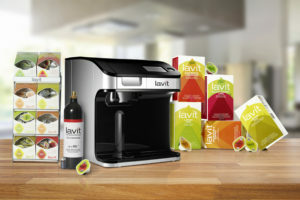 If you can insert a capsule and press a button, you will have no problem using the Lavit beverage system. There is a lot to love about the Lavit system, including the fact that it is a sustainable option for water and flavored beverages. First and foremost, Lavit’s multi-patented, award-winning capsules are made using 100% recyclable aluminum. Eliminate virtually all waste by tossing used capsules in with the rest of your company’s recycling. Each cartridge uses 1/7th the amount of aluminum when compared with a soda can. If what we have described thus far is not enough to encourage you to try the Lavit sparkling water cooler, we have one more carrot to tease you with: for every Lavit capsule purchased, the company behind this incredible machine donates to a charity known as One Drop. One Drop exists to help provide clean drinking water to those in need throughout the world. That means every time you enjoy a great tasting sparkling beverage from your Lavit sparkling water cooler, you are also helping to provide clean water for someone else. Galaxie Coffee is thrilled to be able to offer the Lavit sparkling water cooler to our customers throughout the greater New York area. If you have any questions about this great new machine, do not hesitate to reach out to us today. We would be more than happy to help you better understand the benefits of the Lavit concept. In addition to sparkling water and beverages, Galaxie Coffee provides full coffee service along with teas, fruit juices and other beverages, and even break room and janitorial supplies. You can see a complete product list on our website. We are now a couple of months into the year, and already some interesting trends are developing in the coffee industry. Here at Galaxie Coffee, we follow those trends for obvious reasons. Below are the top five just now emerging. Some will undoubtedly continue to grow and significantly impact the industry this year while others will simply fade away. It will be interesting to see how each of them fare. Both the National Coffee Association and research company Mintel agree that cold brew will be very strong in 2017 while iced coffee begins to decline. But Mintel goes one step further by predicting the introduction of nitrogen to cold brew. 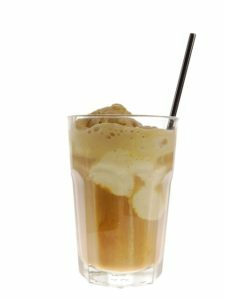 A few national coffee chains are already using the trick to create a creamy cold coffee beverage that is rather unique. If they can make it work, we expect more companies to be experimenting with nitrogen cold brew. Millennials are now the single largest demographic group in America despite the aging population of baby boomers. As such, the coffee industry will be targeting millennials quite a bit more this year. That means focusing the message on the social experience of coffee rather than brewing that morning cup of joe before heading off to work. Focusing on the experience will be seen in everything from packaging to advertising. There will also be less emphasis on price, given that millennials are more likely to freely spend for an experience they appreciate. With the industry now focusing more on millennials, they are also looking at new ways to present coffee. We expect to see a greater emphasis on coffee processing to create new flavors and styles. Processing occurs between harvest and grinding; it includes everything from roasting to aging. Though iced coffee ought to decline while cold brew grows, both trends could be overshadowed by higher demand for bottled coffee. Known in the industry as ready-to-drink (RTD), this coffee product generated revenues in excess of $2 billion in 2015. Late last year, Coca-Cola and Dunkin Brands even entered into a partnership to bring new bottled coffee products to market in 2017. Lastly, younger coffee drinkers have been looking for the local coffeehouse and the bar next door to merge for a long time. It looks like 2017 could be the year for such an enterprise. Industry watchers expect more coffeehouses to start serving alcohol in 2017. Some of them will undoubtedly find ways to infuse their coffee with alcohol to create unique, new beverages. We expect our own emerging trend here at Galaxie Coffee: growing opportunities to serve more customers as we work hard to introduce the Galaxie name to more offices and work sites throughout the greater New York area. If you are looking to add coffee and beverage service to your workplace, we would be happy to serve you.